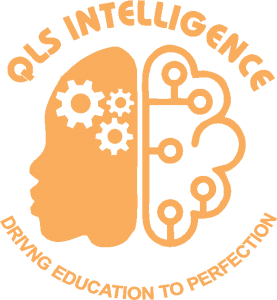 QLS Intelligence provides best guidance to students. Ensuring daily performance insights to achieving a long term career goals. Powered by state of the art AI algorithms, QLS Intelligence platform analyses & predict each student’s hidden capabilities, strengths & talents. It is a physical classroom where a qualified & highly trained faculty teaches the students who are in a group of 15 to 40. The study centre has state of art, air conditioned classrooms with smart touch board. It is directly connected to the QLS server with high speed internet connection. You can teach your own child. You may be parent or any person who can devote regular time. You need not to be subject expert or teacher still you can help your child to improve his/her performance. 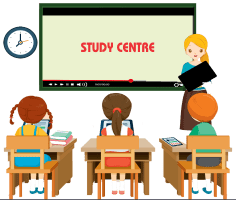 QLS is a real time, systematic and monitored online teaching system through which teachers can deliver world class study content and make use of assessment tools for students. © QLS Academy 2019. Designed by e Trade Services. QLS is an online real-time guide & controlled education provider using Holistic Multiple Learning Approach (HMLA). 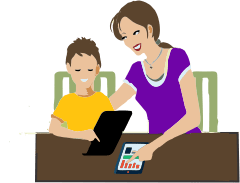 It is teaching traditionally through technology which is nothing but a conglomeration of conventional coaching with internet tools. Faculty & students' performance in Class is monitored every 15 minutes. QLS Academy is a Quality Learning System developed by industry experts having more than 25 years of experience in the education industry for future professionals. It is a distinctive and exhaustive online teaching system which is creating a revolution in the contemporary educational system. It focuses on comprehensive teaching solution and quality education through innovative technology-based education approaches. It makes use of technology as a tool not a replacement of GURU. Here the importance of GURU is maintained at the same time advantages of computer/tab & internet and cloud-based technology are used to deliver, control & monitor. Through QLS system teachers can deliver world-class study content and make use of assessment tools for students. Furthermore, the QLS system is not an online-only platform but can be also integrated with physical classes at schools and local tuition/study centers.